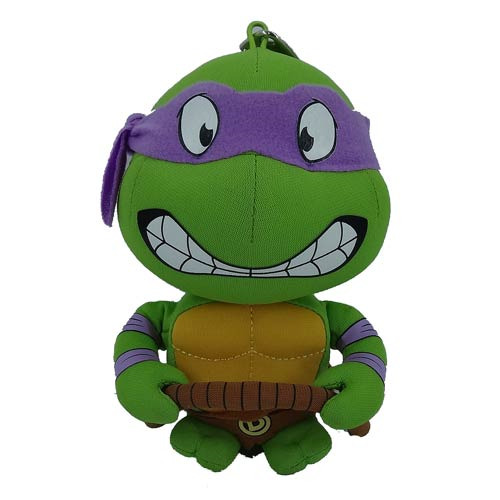 Display classic Donatello in plush form or use him as a key chain with this super awesome Teenage Mutant Ninja Turtles Donatello Super Deformed 5 1/2-Inch Plush Key Chain! Donatello carries his bo staff, sports his purple bandana and arm bands, and wears his brown belt with the "D" logo buckle. Affixed to the top of the 5 1/2-inch tall plush is a key chain so you can hang Donnie from your backpack or simply use him to keep all your keys in a cool place!